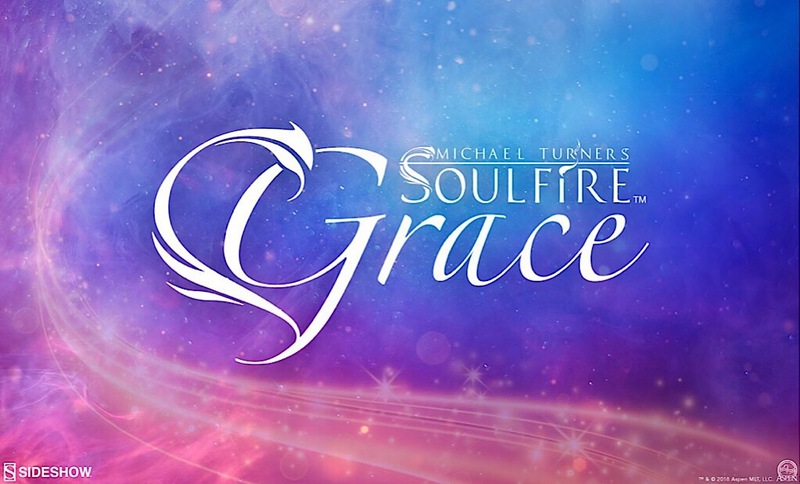 Born in a time of boundless wonder, Sideshow is proud to present the Grace Premium Format Figure from Michael Turner’s celebrated Soulfire comic series. 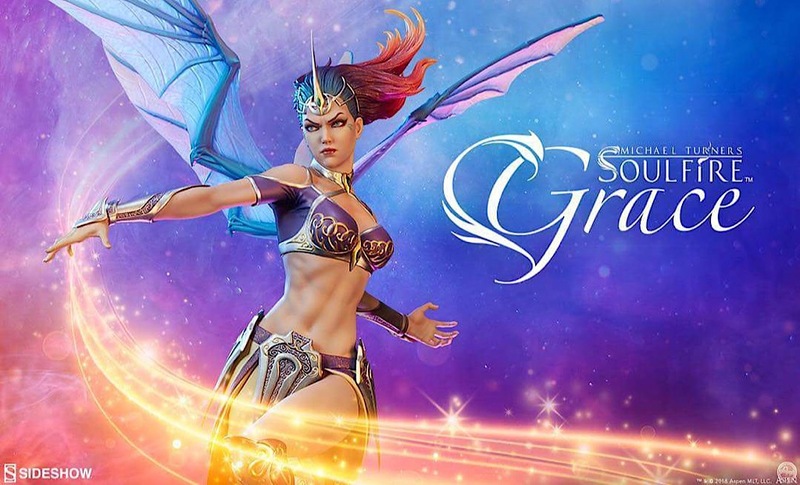 Created by the late, great artist Michael Turner, Grace is one of the last surviving members of the Rahtumi, a mythical race of insect-winged people. 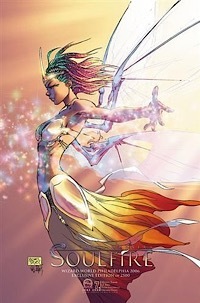 Stunningly beautiful and powerful, her mission is to revive magic in a soulless future dominated by cold technology. 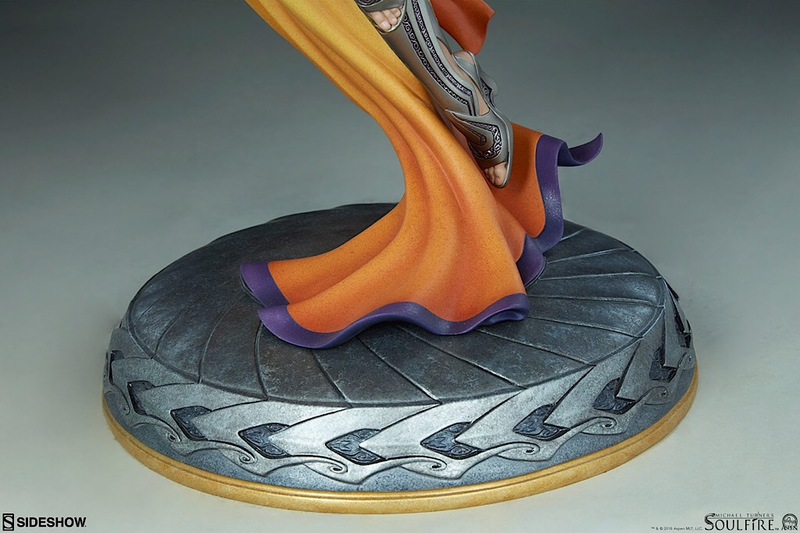 The Grace Premium Format Figure measures 28” tall as the powerful Rahtumi soars over a silver and gold base engraved with swirled markings. 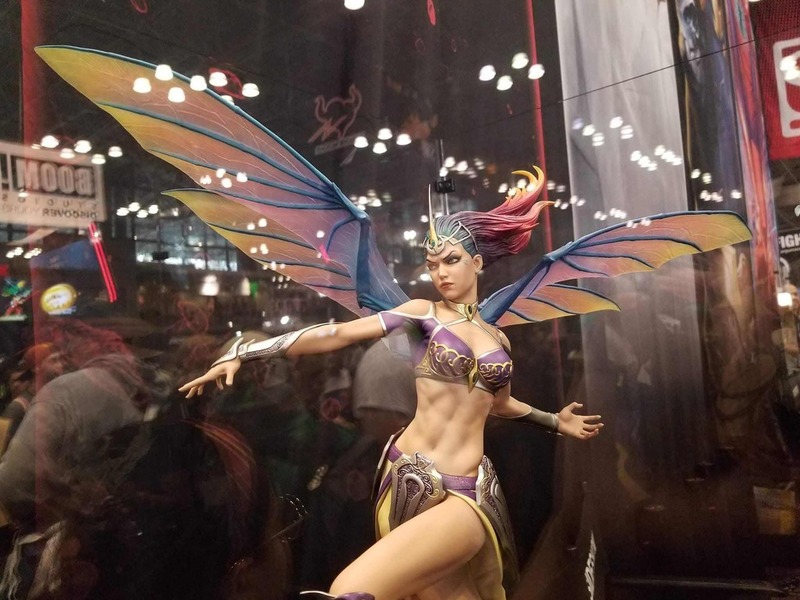 This dazzling and dynamic statue has a wingspan of 22”, making it a jaw-dropping addition to any collection. 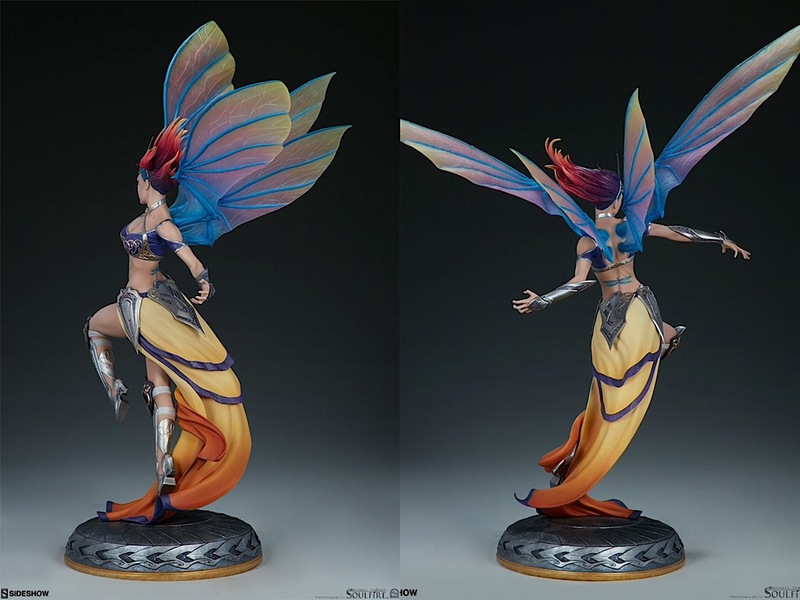 The resin Grace Premium Format Figure features a fully sculpted costume with a flowing yellow ombré skirt and a purple top detailed with gold accents. 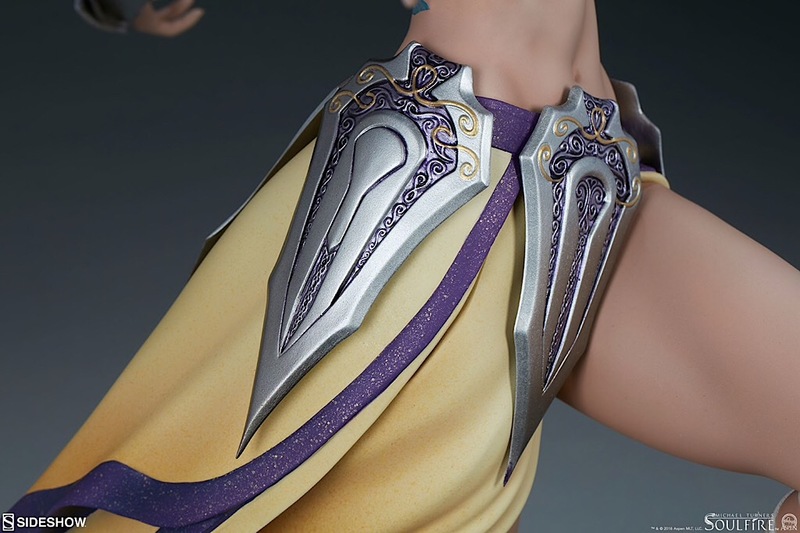 As a fantastical fighter, she is protected in intricately detailed silver armor including vambraces, greaves, and tassets all accented with gold and purple filigree. 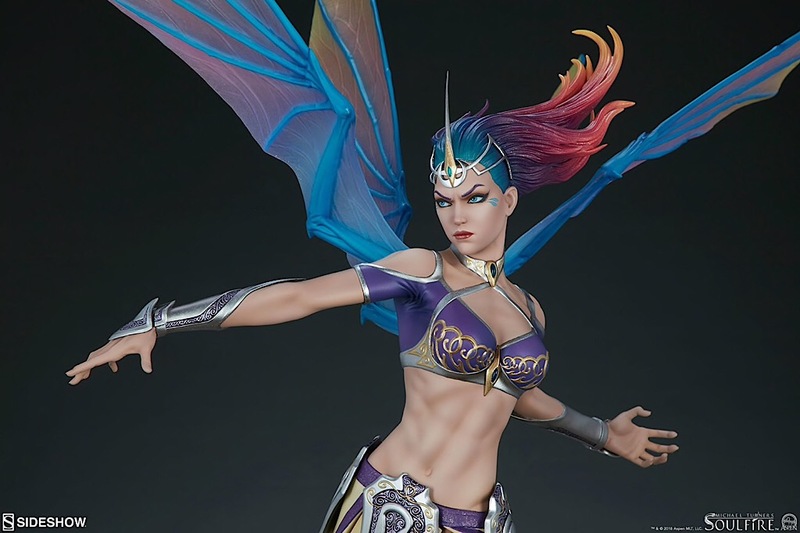 As a member of the Rahtumi, Grace has powerful dragonfly wings growing from her back with semi-transparent blue, pink, orange, and yellow hues and bright blue veins. 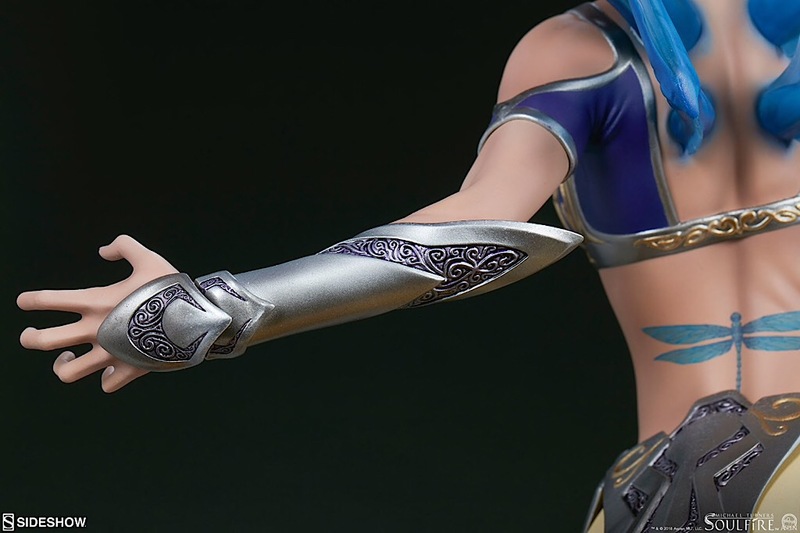 Her lower back is tattooed with a blue dragonfly, indicative of her magical heritage. 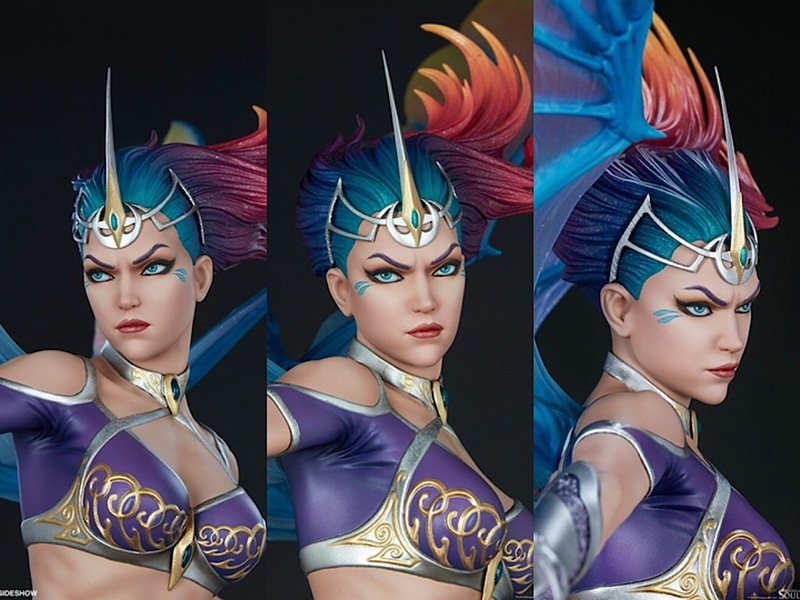 Grace’s portrait also features dragon wing tattoos, a jeweled silver headpiece, and vibrant flowing hair in a gorgeous gradient of her signature colors- blue, purple, pink, orange, and yellow. 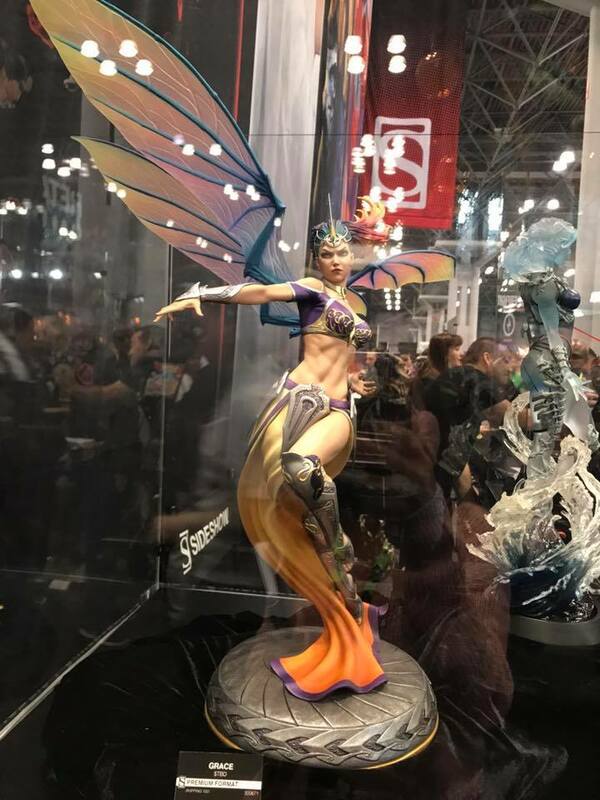 The Exclusive Edition of the Grace Premium Format Figure includes a swap out hand releasing a bolt of colorful, magical energy. 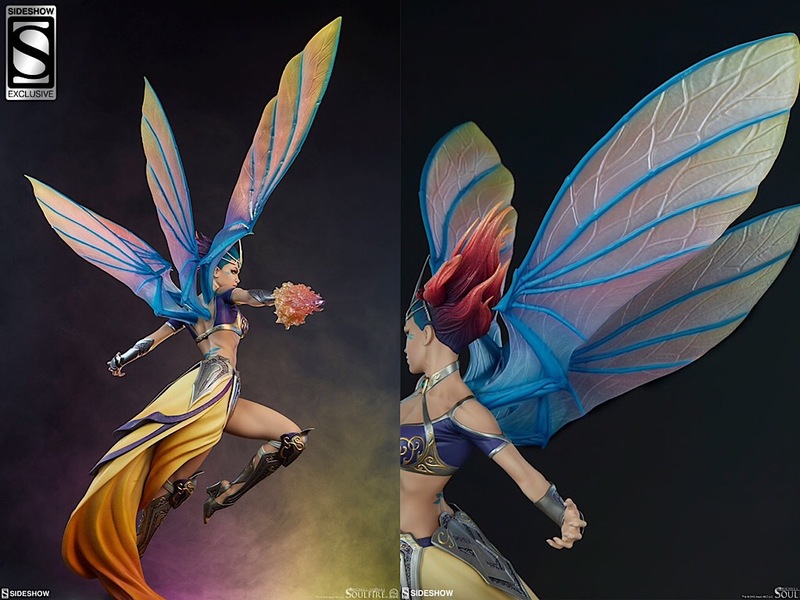 This exciting exclusive display option is a must have for Aspen Comics aficionados or fans of high-fantasy. Die könnte interessant werden. Statue mit Flügel fehlt mir noch. Das könnte was werden. Aber mal die Beine abwarten. Tolle Statue! Genau mein Geschmack. Nur die Spannweite der Flügel macht mir platztechnisch ein wenig Sorgen. Och nö, jetzt die gefällt mir auch noch. Hammer Figur. Ok, die kriegen wir nächstes Jahr auch noch finaziert. Die ist so gut wie gekauft.